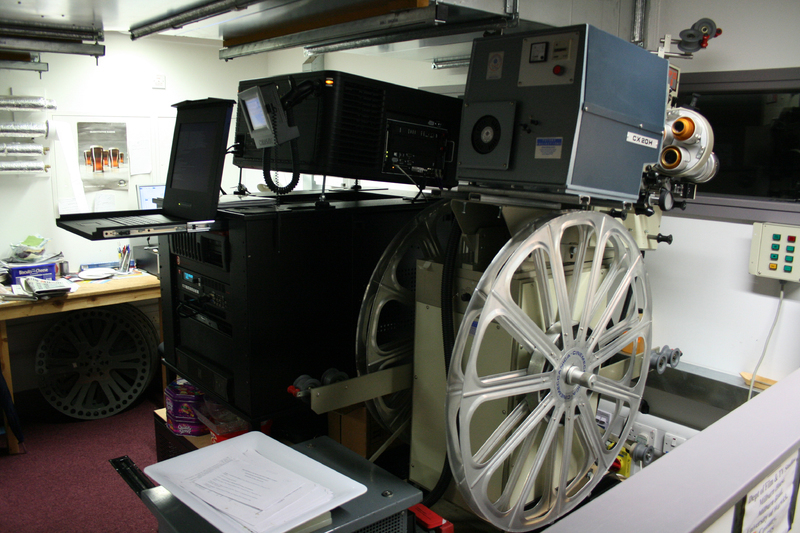 Perhaps the biggest change that has taken place in cinema projection has been the arrival of digial projection systems. In the UK, this began in around 2005 and by 2014 every cinema screen in the UK was capable of showing digital films. In the first audio clip below, Neil Thompson describes the arrival of digital projection equipment in the Gate Cinema, Newcastle. In the final audio clip, Phil Fawke talks about adapting to digital projection technologies. Neil Thompson describes the arrival of digital in his cinema. Phil Fawke discusses the process of adapting to digital projection technologies.